Grab some of your sport loving friends and get ready to head out to the stadiums in style. 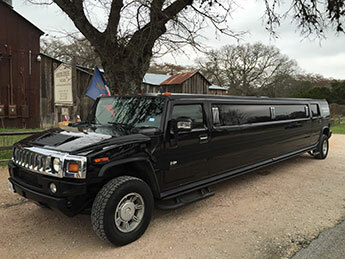 San Antonio Top Limo is ready to provide you with the limousine you want for any sporting event in San Antonio. We can get you to a Spurs game, Rampage hockey game, Scorpions soccer game or Missions baseball game in style. With your choice of any of our sleek, luxurious limos, you can ride in what you want down to the game you’ve been waiting for. Give us a call and set up a time for us to pick you up so you can get to the game on time. You won’t have to worry about driving. Our professional chauffeur will make sure you get picked up and arrive on time. Just name the place you need to be picked up at and we can make it happen. Get all your friends together and get ready to have a party before the game even starts. With our luxurious limousines, there’s plenty of leg room for all the passengers we can fit inside. You won’t have to worry about a thing while you sit back and relax on your way to the big game. Gather up all those friends and get ready to go to the game in style. With all our choices in limos, you’ll never have to worry about room. But if our 22 passenger Texas-sized Hummer limo isn’t big enough for the crowd your packing, ask us about our party busses as well. We have all the options you need to get everyone to the game and party even before they arrive. With surround sound systems, wet bars, LED lighting and luxurious seating, you can pump up the music and get hyped for the game you’re heading to. Arrive in style. We pick you up from the location you want and we get you to the game on time. You won’t have to worry about the driving part, because our chauffeurs take care of that. Get all of your friends and arrive to the stadium just like the pros. Whatever limo you choose, you’re sure to catch some eyes glancing at our amazing, luxury vehicles. Forget about any driving hassles, because we’ve got you covered. And you won’t have to worry about the long walk from a parking spot either. We’ll drop you off right at the front entrance, so you can get right to your seats. Whatever the sporting event may be, arrive in style in one of San Antonio Top Limo’s luxury limousines. Pick the limo that suites your passenger needs and get the party started. And the party doesn’t have to end when the game does. Enjoy your ride back home or to town with some tunes of your choice and party on. 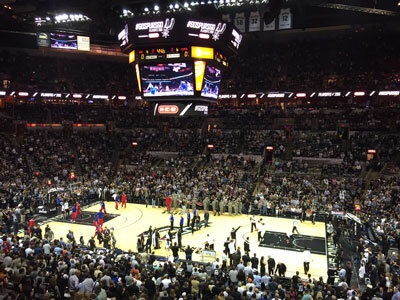 Give San Antonio Top Limo a call today, and we can set you up with a luxurious ride to your next sporting event.